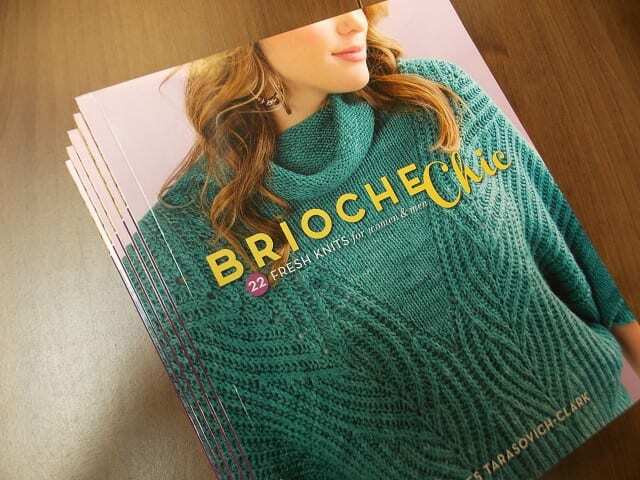 Brioche and lace: two new books. It’s been a busy couple of weeks for new books! 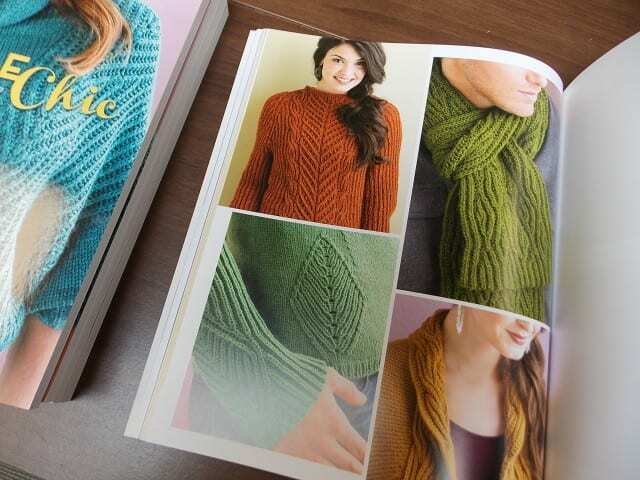 Here are two of the latest publications from Interweave, each one focused on a single technique. 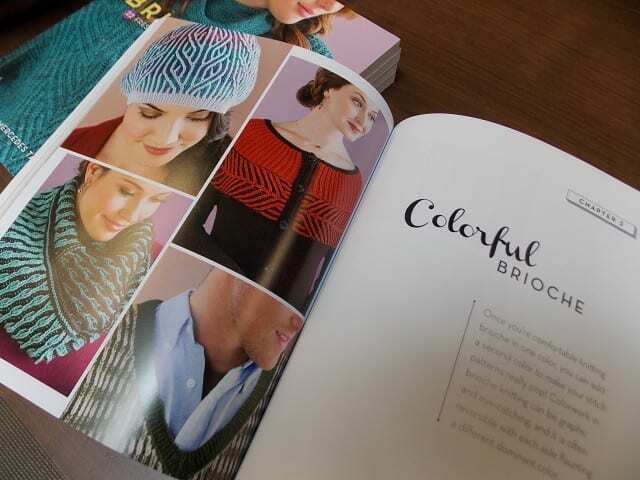 Mercedes Tarasovich-Clark’s Brioche Chic offers 22 garment and accessory patterns for men and women, all of which include brioche knitting. Brioche is a lofty, stretchy fabric that can look like plush ribbing in its simplest form, and like twisting, multicolored cables or lace when modified or combined with other techniques. 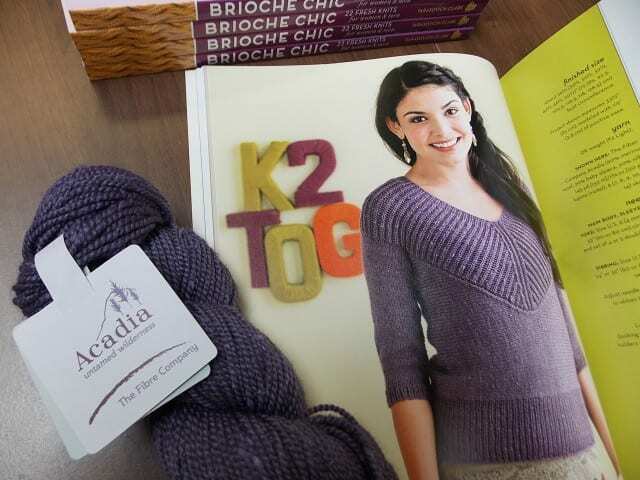 My favorite in this collection: “Chevron Deep-V Pullover,” knit in Fibre Company Acadia. If you’ve never tried brioche, this book is a great place to start, and its sure to keep you interested long after you’ve mastered the basics of the technique. 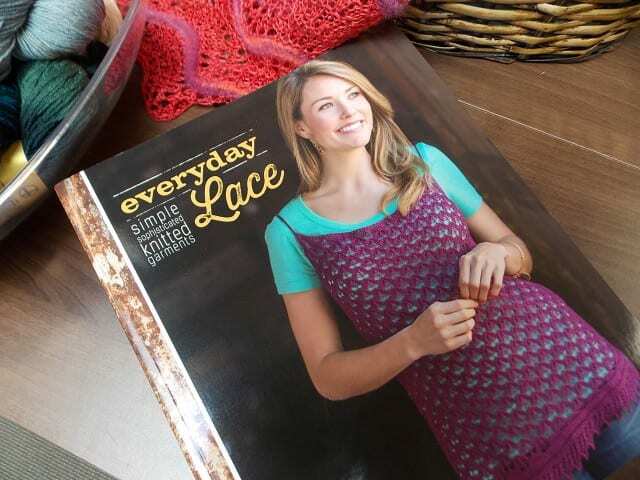 Everyday Lace, by Heather Zoppetti, is all about incorporating lace patterns into wearable, non-fussy garments. 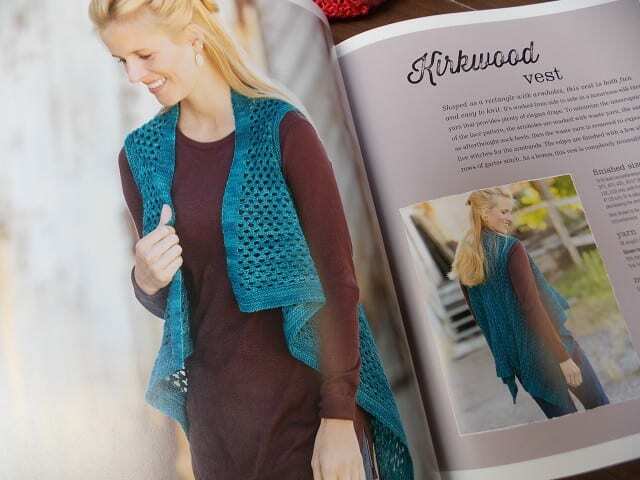 Inside, you’ll find patterns for sweaters of all shapes: tunics, vests, shrugs, pullovers, cardigans, and some accessories, too. 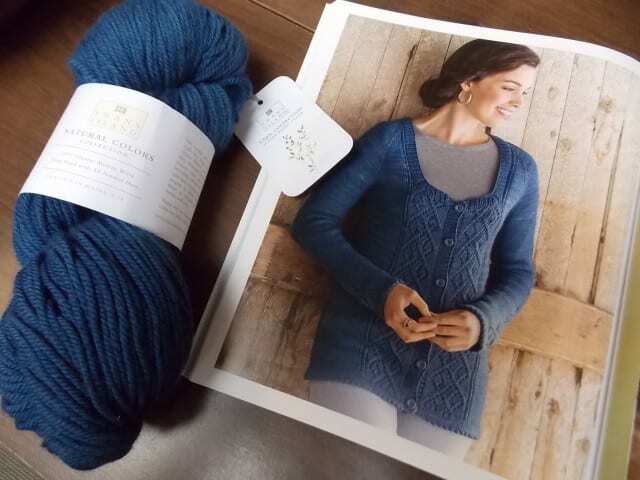 I spotted a few garments in familiar yarns. The “Kirkwood Vest” above is knit in Malabrigo Silky Merino, and the “Bellemont Cardigan” below is knit in Swans Island Organic Merino Worsted. Come by the shop to find inspiration in a book or two, and plan your next project!